Ten premium instruments perfect for the studio or live: Legendary acoustic & electric pianos, stunningly realistic-sounding bass, and cutting-edge synthesizers, putting any sound virtually at your fingertips. 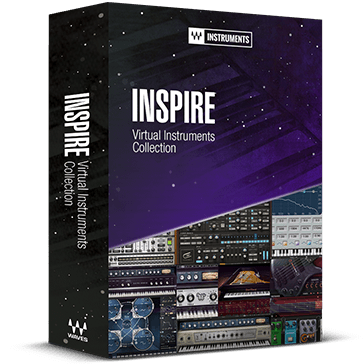 Whether you are a producer, composer, songwriter, beatmaker or professional musician, when inspiration hits you, this collection serves you a hand-picked palette of classic keyboard instruments, innovative synths, and moving bass sounds. Electric 88 Piano: “Top of the class for Fender Rhodes VIs,” with all the soul-moving sweetness and character of the original vintage 88-key instrument. Electric 200 Piano: Meticulously sampled from an original 200A-model to deliver that classic Wurly sound. Electric Grand 80 Piano: The era-defining polish and brilliant tones of the original hybrid electric-acoustic CP-80 model piano. Clavinet: One of the funkiest keyboards ever created – the D6-model Clavinet, delivering the percussive playability, feel and expression of the original funkified icon. Flow Motion FM Synth: Hybrid FM synth with an intuitive graphic modulation matrix, rich presets, and an innovative snapshot sequencer for endless sound design capabilities. Element 2.0 Virtual Analog Synth: Analog-style polyphonic synth designed to deliver the warmth and depth of hardware synth classics. Codex Wavetable Synth: Cutting-edge polyphonic wavetable synthesizer designed to create sounds that range from warm acoustic and analog emulations to never-before-heard intricate and evolving textures. Morphoder: The classic sound of the original Vocoder synthesizer for classic robotic vocal effects. Bass Slapper: The most elaborate and realistic-sounding slap bass virtual instrument ever created, letting you pull off the nuances of a seasoned bass player right on your keyboard.